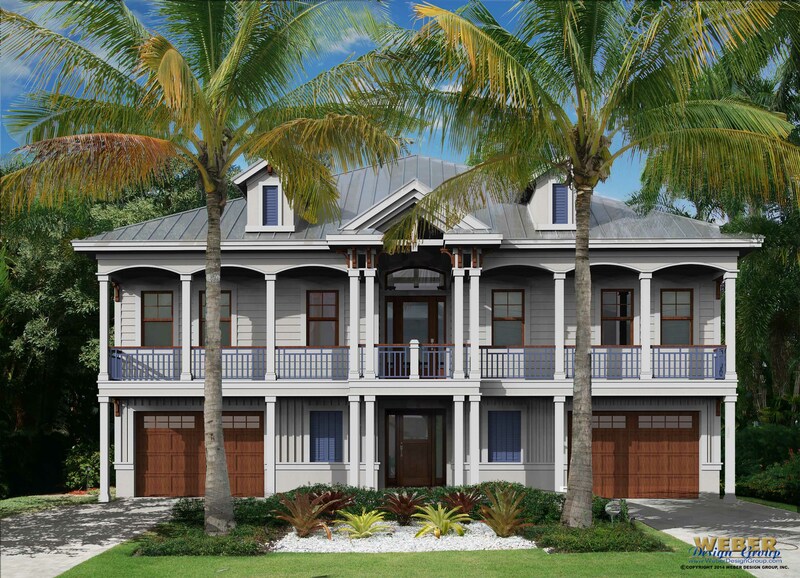 The Coral Bay House Plan is a two-story coastal design featuring split garages, a 2-car, and a 1-car, as well as storage on the first level. Upstairs are the living areas offering an open great room layout with combined island kitchen and dining areas defined beautifully with individual ceiling designs. The great room of the home plan features a large set of glass doors that lead out to the covered lanai. The floor plan has a spacious master suite with two walk-in closets and a master bath with a large corner tub and shower. It also has an additional en-suite bedroom and a study that could be used as a third bedroom. The elevator, pool bath, and utility room are additional features that make this a well-designed beach house plan within a compact footprint so that it will fit on a narrow or waterfront lot. 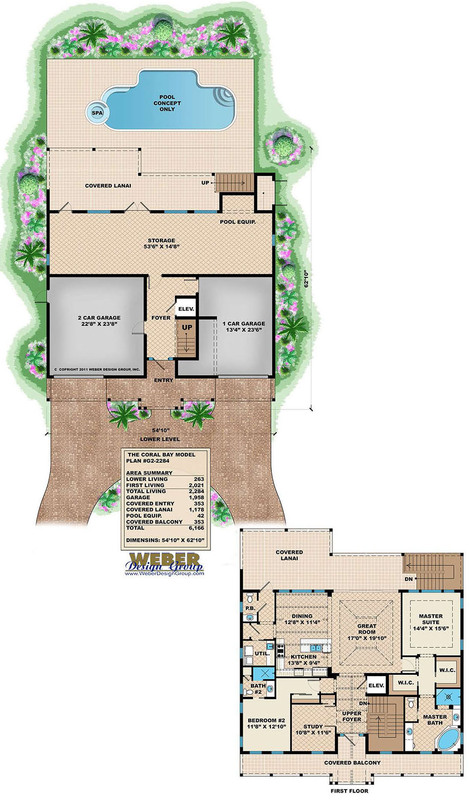 If you like the Coral Bay, you may also want to browse the beach house plans, West Indies and Cottage house plan styles. Ceiling Height: 11' 4" - 12' 4"
Ceiling Height: 11' 4" - 15' 2"